One thing I am the proudest of in my life is my life. That might sound vain to you, but trust me when I tell you that it’s not what you think it is. I’m not rich, I’m not famous, but I’m blessed. And the great thing is, you are blessed too! As a Single Christian Woman, I have not always considered myself blessed. I was looking for success and fulfillment in all the wrong places until I realized that I already had everything I needed for this season of my life. I had flexibility, opportunities and a healthy dose of self-esteem. Once I realized that, I was able to enjoy being single and dare to live. 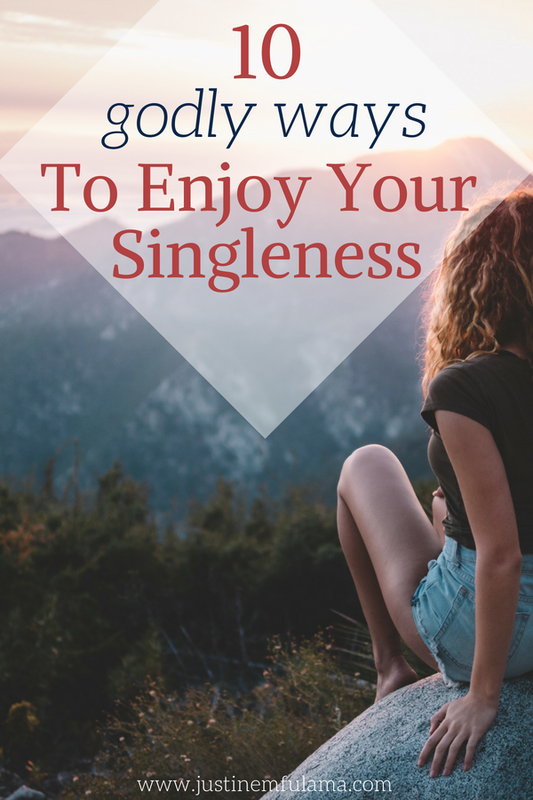 Today I’m sharing with you 10 godly ways to enjoy being single. How do you know if you are good at being in a relationship? I remember asking myself that for years. You see I had never been in a healthy, loving relationship. And while I could look to others for an idea, I wanted to experience it myself. Fast forward a few years and now I am certain that I would be good at it. Why? Because I have a healthy and loving relationship with God. A relationship that is based on honesty and trust and encourages total vulnerability. A thriving relationship with Christ will help you prepare for marriage. Because it teaches you that a relationship shouldn’t be performance based but build on commitment and sacrifice. While the relationships we see on TV or in our community may give us a highlight reel of what it should look, the Bible tells us the cold truth. That you need to die to yourself daily and offer grace and love even if you don’t feel like it. Like I already mentioned above, I’m pretty proud of my simple life. At age 29 I’ve traveled to more than 23 countries, lived in 7 countries and experienced a lot of adventures. And that’s only because I refuse to wait for another person before I do things I always wanted to do. I proudly maintain a “Single’s Bucket List”. And that Bucket List isn’t any different from my general “Bucket List”. Go on the trip, visit that restaurant, but the house. 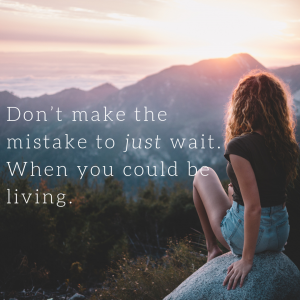 Life is too short to wait for someone to join you in things that you could have done as a Single already. Dare to live a full life! Now as a Single Christian Woman! And if you really like something and feel like that’s something you would enjoy more if you were in a relationship. Great, don’t cross it off your list yet and re-visit it once you are in a relationship or married. 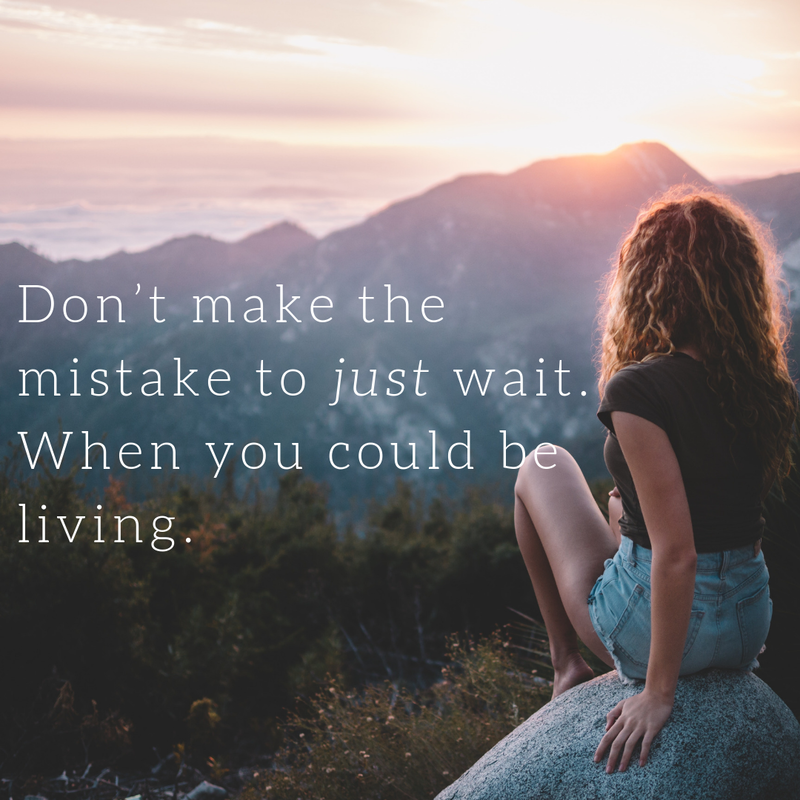 Don’t make the mistake to wait, when you could be living. What other interests do you have in life besides work, school, and church? Don’t get me wrong, all three of these are important and it’s good that they play a big role in your life. But what else do you like? What are your interests, hobbies, and passion? You see these things make you an interesting person and set you apart as you. In order for someone to get to know you, you need to know yourself first. So find and pursue your passion. Because that won’t just make you unique, but it will also help you enjoy being single. Remember that you will eventually get used to a relationship, and if there is nothing outside of your daily routine that you enjoy, you will get bored. And if you don’t know your interests yet, it’s fine. Go and find some. Go outside, try out different things and ask yourself “Do I enjoy this or not?”. Explore, engage and evaluate your interests. I have been pretty outspoken about this topic in the past. Desiring marriage is nothing to be ashamed of. Actually, I believe it is noble to enjoy and anticipate something that God calls ‘a good thing’. However, it becomes a problem if it’s all that’s on your mind. For a lot of Single Christian Women, marriage becomes an idol and is all they think about day in and day out. The problem with that is, that you lose sight of what God calls you to do/ be in your season of singleness. In order to really make use of these 10 godly ways to enjoy being single, you need to set your mind on things above like scripture says (Colossians 3:2). You need to diligently work on God’s kingdom here and now. Because even in your season of singleness he has a divine purpose for you. Marriage is not the end be all of what life is. So don’t worship the idea of marriage that you set your expectations so high, that when you do get into a relationship, it won’t live up to it. My favorite part of my single season so far was when I lived in my own little apartments in Budapest, Hungary and Duesseldorf, Germany and had my own household to take care of. I felt like a real grown up. When you live alone you learn a lot. You learned to steward your own money wisely enough to cover your monthly bills. You learn to manage your cleaning schedule disciplined enough to welcome spontaneous guests. And you learn how to budget, live frugally and spend on things that really matter. It might not sound like fun, but it is a godly way to enjoy being single. A lot of people spend time wishing that they were skinnier, healthier or fitter. And when you ask them what keeps them from achieving those things it’s usually laziness. As a Single Christian Woman, you have time. But are you motivated? Enjoy being single by exercising and eating healthy. Your goal might not be to run a marathon next year, but why not strive for more endurance or a lower cholesterol level. Becoming the best version of yourself is a journey that increases self-confidence, self-esteem, and self-love. You learn to appreciate your body more, understand how it works and treat it better. After all, your body is not just the house you live in, but also the temple of the holy spirit. While I love doing things solo and am my own favorite person, I do cherish the fact that I have time to socialize with others. Especially other Christian Singles. Nothing beats community with other believers that can lift you up when you are having a bad day and relate to your burden. So benefit from the time you have now and meet new people in your local community/church but also at events or while dating online. Use it as an opportunity to develop your interpersonal skills and become a well-rounded social person. If you follow me on Instagram, then you know that I celebrate a special day every month, that I call Self-Love Saturday. That day is about nothing and no-one else but me! On that day I celebrate myself, my life and the little things that make life worthwhile. I treat myself comes in many different ways, from doing a run through Piedmont Park in the morning, a lunch in the afternoon a manicure right after and some shopping or a movie in the night. I do all this not to drain my bank account (that happens anyway), but to remember that life is worth living here and now. So, practice self-care by doing something for yourself once in a while. Don’t save all your money and dreams for a time in the future that isn’t promised. As I mentioned earlier, God created your life for a purpose. He is not surprised by the number of years you have as a not-yet-married woman. He actually intended for you to go through this season for a reason. Hurts? Welp, get over it. The faster you find peace and contentment in your single season, the sooner you will be able to start working on your divine calling. God needs you to put on your big girl pants and stop crying and instead get involved in building his kingdom. Get involved in ministry by serving at your church, cleaning up your local community or embarking on a missions trip. Doing something that allows you to change the perspective and serve will help you enjoy singleness more. Enjoy being selfish while you can and invest in yourself. 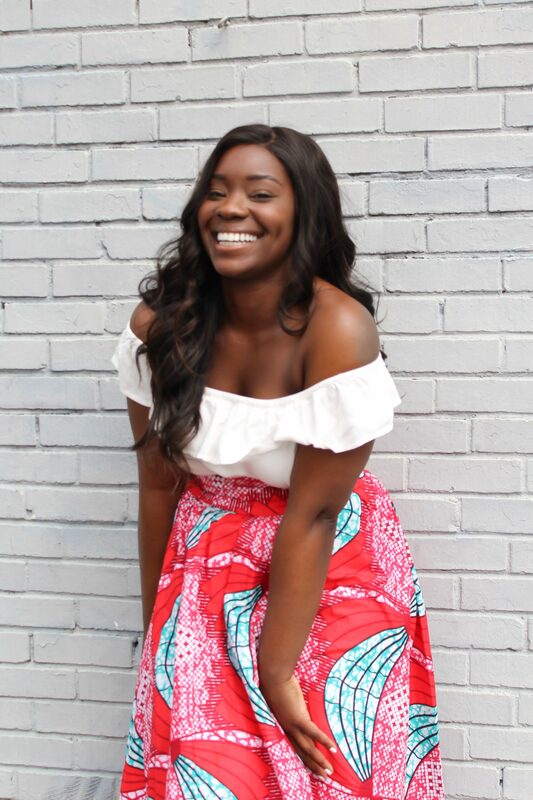 As you read above, I treat myself, I travel, and I work in ministry… But I also started this blog, which was an investment in myself and my future. Yes, creating a blog is not cheap. In terms of monetary value but also time. Now that I have a clue of what I need to do on a daily basis to maintain this blog, I spend around 20 hours per week on it. But before, I would spend up to 5 hours a day on my blog, developing, writing and studying to become better. Does that mean you have to create a blog in order to invest in yourself? Absolutely not! But it means you could start the online jewelry business you’ve been thinking about, the cooking channel on YouTube showcasing your 5-minute vegan sandwiches or going on the networking trip to China to find out if a wholesale business is feasible. Whatever helps you to get to the next level of yourself, invest in it. Because later on when you’re married and have kids your time and resources will be limited ad your mind pulled into different directions. 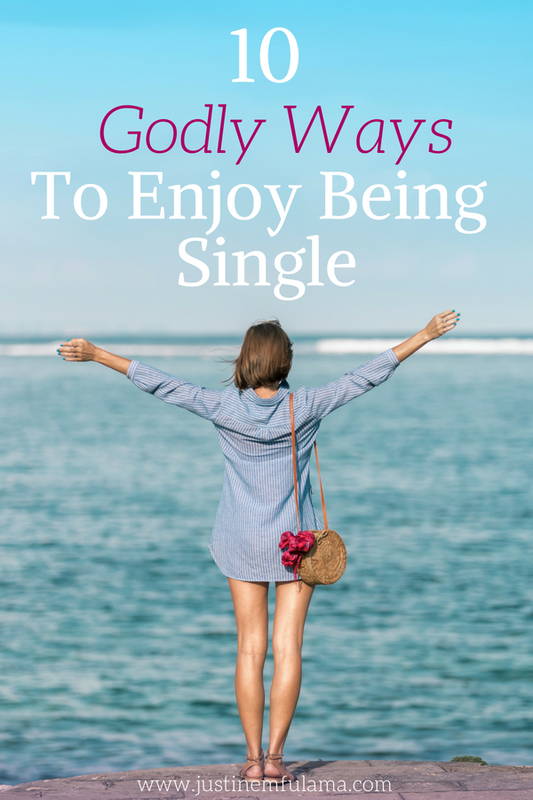 What godly ways to enjoy being single do you have? Share BELOW! Wow! Thank you for sharing Justine! It is so important to enjoy our single season. I love the part where you talked about investing in yourself. We will not be able to invest in ourselves as much when we have a family. We need to learn about ourselves before we get into a relationship with a guy! Thanks for Sharing Justine. I really needed to hear this especially the part about doing the things you have always wanted to do without havibg to wait fro someone to join you. I’ve been making this mistake, now am going to change that and also go for church missions, e.t.c. Thanks again and remain blessed. Yayyyy I’m so glad to hear that! I found this to be very helpful, thanks for sharing! What advice do you have for a newly single woman that’s a baby in Christ has already been married and has kids? Hi Angela, I’d say stir yourself up in Christ. Try to spend as much time as possible in his word, take part in community gatherings and bible study. That way you will learn and be able to enjoy your singleness as a godly woman. Justine, I love your blog. And this post was amazing! It’s as if my life was written by someone else. I am a Single Christian Woman who has enjoyed being single for the past few years. I am sure you are a great blessing to your friends. Women like you are hard to come by for girls looking for a tribe.